Consider names, names of characters. Alice in Wonderland. Hamlet. 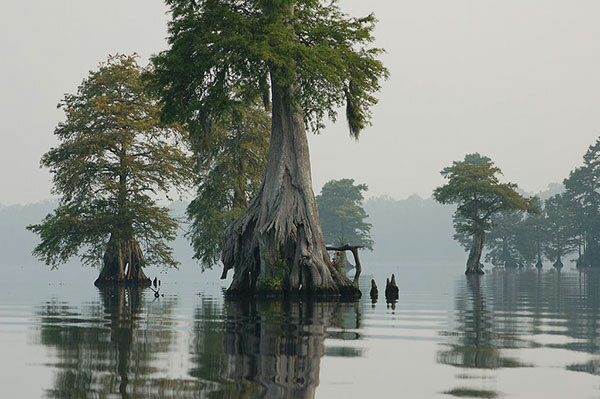 Huckleberry Finn. Do we accept (and know) these names because the literary works are famous? Or do we know the names because they could be none other? Would The Tragedy of Ted, Prince of Denmark, work just as well? Years ago, when working as a librarian at the NYPL’s Theatre Collection at Lincoln Center, I would come upon manuscripts of famous plays in early drafts. 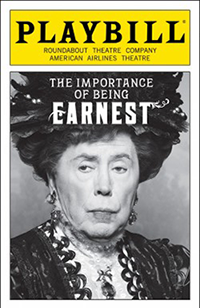 Thus Oscar Wilde’s great play, The Importance of Being Earnest, was titled Lady Lancing. And Edward Albee’s play, Who’s Afraid of Virginia Woolf? had character names very different than in the final version. It made a big difference. Choosing the right name for a character is complex. If you choose a name from someone you know, say, your weird uncle Fred, will that “Fredness,” so to speak, infect your character in a way you don’t intend? When I wrote Blue Heron I used the name of a girl who was the daughter of a single-parent friend, a girl who read my books. When I told my friend what the story was, about a girl from a single parent home, my friend asked me to change the name of the character. I did. But in doing so, my feelings about the book also changed. When choosing a character name, one must consider gender, culture, historical moment, and what it might suggest about the character. Also, you must consider variety. And context. You would not name characters Jack and Jill, unless you wished to suggest a reference to the famous poem. I chose Crispin because it is a medieval name and it is easy to say. I knew the name from the “St. Crispin Speech” as it is called, from Shakespeare’s Henry V (Act IV Scene iii ). On my own reference shelf, I own a number of books of names. One is titled Historical Names, providing names popular during particular historical periods. Thus I have a book of Irish names, Italian names, used for books that pertain to that place and culture. 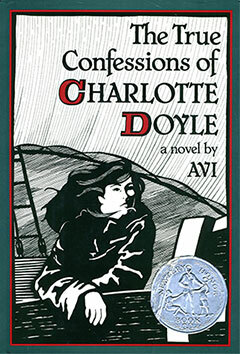 I don’t recall if I ever considered another name for Charlotte for The True Confessions of Charlotte Doyle. I do recall doing research and learning that Doyle was a common name in 19th century Providence, Rhode Island, as was the name Charlotte. 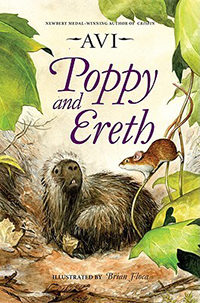 When I wrote Poppy, the mice in the story, a story set in a forest, all characters have names of flowers. But there are so many names of flowers that I could match names to character personalities. Thus, Poppy’s pompous, over-bearing father is called Lungwort. As for Ereth the porcupine, if I tell you that Erethizontidae, is the porcupine’s scientific name, you see how that worked out. When I wrote Ragweed—the first in the Poppy series—which is set in a city, the editor Elise Howard suggested I switch to names with an urban resonance. I therefore choose car parts, thus Clutch, and my favorite, the drummer in Clutch’s band, Lug Nut. 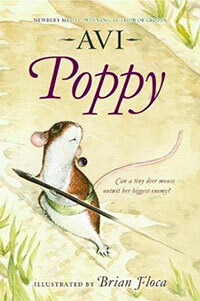 And, thinking of Poppy, I am reminded that was not the original name for my lead character. When I wrote the book she was called Pip. As it happened, I was reading the (almost) final draft of the book to a class at the Moses Brown School in Providence. At some point a boy came up to me and said, “Is this how you got the name for your book?” He showed me a Canadian book titled Pip, the Story of a Mouse. I went home and changed the name to Poppy. Teachers, think of your favorite writer. Think of your favorite book by that writer. Think what that writer has written recently. In many cases you can’t answer the third question because, truly satisfied by your answer to the second question, you don’t read any more. And yet, there may indeed be a better book by that writer. In the world of children’s’ books, a successful book may well lead to a whole shelf of that book in a classroom. As a result, you, as teacher, are less likely to purchase another set of a second title by the same writer. And, if you have successfully taught book A, you are more than likely going to continue teaching book A, rather than book B. Yet, I can almost guarantee you, a writer’s favorite book is rarely his or her most successful book. Quite often it’s a book that is not considered a success at all. Happily, that is not the way young people read. In fact, just the opposite. Once they find a writer they enjoy, they more than likely will read more by that author. Or, again, they read the same book over and over again. Success comes in many ways. I just handed in a new book to my editor Richard Jackson. When published, it will be the twenty-second book I have worked on with him. The books he edited include The True Confessions of Charlotte Doyle, Nothing but the Truth, Poppy, The Man who was Poe—among the books for which I am best known. Other writers will tell you the same. 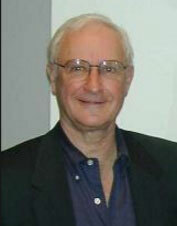 If you match his name with the big awards in the children’s book world, he has been associated with more winners than any other editor. What is he like to work with? I can only tell you how he works with me, because one aspect of his editorial skill is that he works differently with different writers. That is to say, he is keenly tuned into the writing style and personality of the many different people with whom he works. I have no idea how he worked with Paula Fox, Garry Paulson, or Judy Blume, to name three very different writers with whom he has worked. There is something of the chameleon in him—in a positive way. I once asked him how he would like to be in a room full of his writers. He visibly winced. He has always edited many, many books, but whenever I spoke to him, he was instantly there, in my project, as if he had nothing else to do, or needed to think about other text than that project. Many a time, when I thought a book was done, he would call and say, “I’ve been thinking…” and what he has thought about was something missing and vital to the book. His instincts are very sharp, and indeed, he’s a very smart, an intelligent person, who grasps what the writer intends, and then some. He knows literature. He sees what the writer can do. He will ask questions, not tell you what to do, though he has never ducked marking up a manuscript. Inevitably the writer—this writer anyway—in the process comes to understand an aspect of the work not fully understood before. His line editing is of the same high order, cutting away the chaff, bringing forth the intent. When we have talked about books in process I always came away energized with a new sense of clarity, of being challenged. And it must be said we talk about other things other than the current book. We share certain interests—theatre, for example—and our talks are punctuated by a lot of laughter. It is fun for me to talk to him, a much loved and admired friend, a colleague, without doubt fundamental to my life as a writer. The most amazing thing about him, is that I know there are many other writers who can say the same thing. It is one of the curiosities of my own writer’s life that when I finish a book, and truly know that it is done, I feel sad. It has happened any number of times. The best reason I can suggest is that I have to put the characters aside, and I miss them. After all, I have come to know them, live with them, struggle with them, and enjoy them. For awhile, as in days of my childhood, they became my imaginary friends. All very well to think about them while you are writing about them, but when you are done … they belong to readers now. I recognized he was right, and set to work, writing that brief scene, in which Charlotte says farewell to her favorite crew members. As I wrote, I too was saying goodbye to Charlotte. My eyes welled with tears. 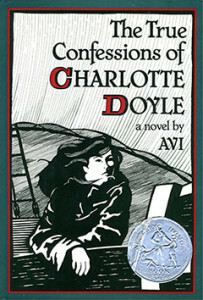 The other day I was startled to realize that my book, The True Confessions of Charlotte Doyle was published twenty-five years ago. Here’s the story behind the book. 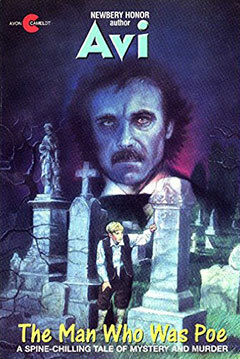 I had been working on another novel; The Man Who was Poe, when I first had the idea for the book. The Man Who was Poe, (which is about Edgar Allan Poe) takes place in Providence, Rhode Island, where I was living at the time. Poe is often credited with the invention of the mystery story, in particular with his Murder on the Rue Morgue. So it was quite natural that I was thinking of mysteries, and in particular of the idea of the so-called “locked room mystery,” in which something inexplicable happens in a locked room. What, I came to think, could be more like a locked room, than a ship at sea? The Seahawk is the name of the ship on which Charlotte travels. Indeed, The Seahawk was the working title of the book. But as I wrote that line, it was the moment I started thinking about The Tue Confessions of Charlotte Doyle. It was to be a murder mystery set on a ship in the mid-Atlantic. I sold the idea to my editor, Richard Jackson. However, though I began to write the book, I went to Italy (Venice) for a nine month period. 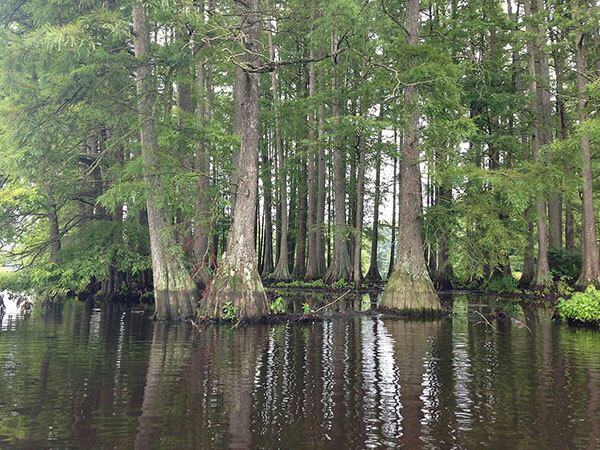 As wonderful as my trip was, I found it very difficult to write there. Surrounded as I was by the Italian language, my own English writing became rather inhibited and clumsy. Besides, though I had a portable computer I did not have a printer. To print what I was writing—an important part of my writing process—I was required to go to the University but once a week and leave a computer disk (remember those?) and return five days later to pick up the printed pages. Finding it impossible to write, I stopped. The book was put on hold. Only when I returned to Providence did I commence writing again. By then the book—in my mind—had evolved. As I wrote the form of the book—a mystery—was partly retained, but my interest (and writing) was about the evolution of Charlotte as a character. I recall thinking of the title, but was sure it had been used in some form many times. I checked, and was surprised that it had not. I completed the book. It went through the normal editorial and publication process. By the time book was released from my thoughts, I had found another story that held my attention: A very different book titled, Nothing but the Truth. 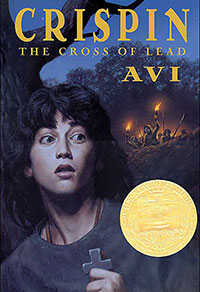 Charlotte went on to win the Horn Book-Boston Globe Award and a Newbery Honor plus many other awards. The book has gone through many editions, and has been translated into many languages. 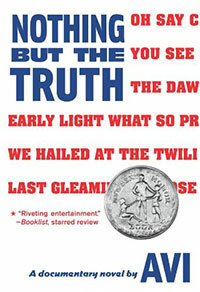 Curiously, over the years, it has come to be read by younger readers than was originally the case. A number of people have told me it changed their lives. It has had many, many readers. I should read it again. 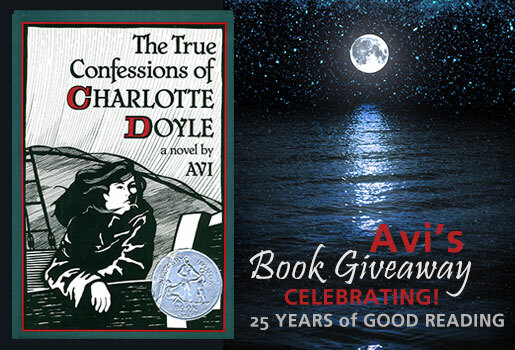 If you’d like to enter the 25th Anniversary Charlotte Doyle Book Giveaway, you may! But hurry, the giveaway closes at midnight on December 15, 2015. Having written as many books as I have, and series books and sequels being so popular among readers these days, it is not surprising that I am often asked something like, “Are you going to write a sequel to The Book without Words?” . Among other books about which I’m often asked a similar question are The True Confessions of Charlotte Doyle, The Good Dog, and Beyond the Western Sea. Sequels also have to be justified by the publisher. The sales of book one have to be sufficient to justify book two. That doesn’t always happen, even though book one has passionate readers. Also, for me, since I’m always engaged in a new project, a sequel requires me to rediscover the voice and style of a particular book, something not always easy to do. The Poppy books were an exception. I enjoyed writing about the characters so much I wanted to write another and another book in the saga. 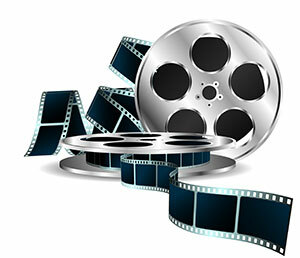 The best way for me to think of sequels is to plan to do so from the start. 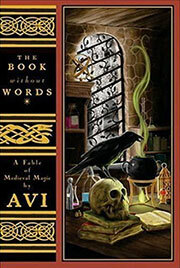 The Crispin books were thought of originally as a multi-volume story. In fact, the fourth book is in my head, but yet to be on paper. 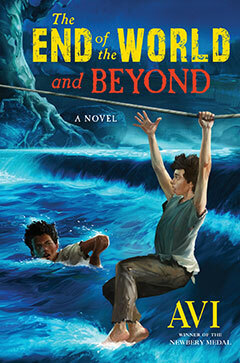 At the moment I am working on a new book that assumes a sequel. 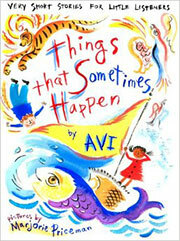 All this said, regarding The Book without Words; yes I have thought of a sequel. But alas, I have no plans (or time) to write it.